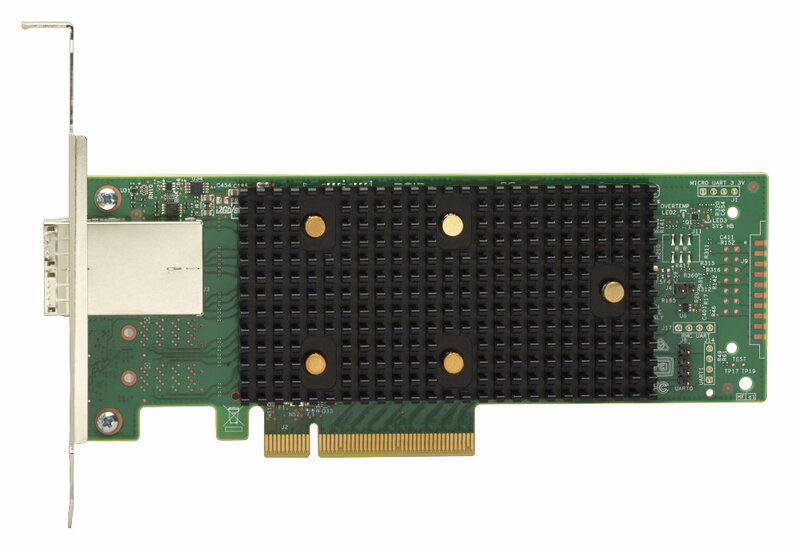 The Lenovo ThinkSystem 430-8e and 430-16e SAS/SATA 12Gb HBAs are high performance host bus adapters for external storage connectivity in ThinkSystem servers. The 430-8e provides two x4 external mini-SAS HD connectors with eight lanes of 12 Gbps SAS. The 430-16e provides four x4 external mini-SAS HD connectors with 16 lanes of 12 Gbps SAS. This product guide provides essential presales information to understand the ThinkSystem external HBAs and their key features, specifications, and compatibility. This guide is intended for technical specialists, sales specialists, sales engineers, IT architects, and other IT professionals who want to learn more about the HBAs and consider their use in IT solutions. The Lenovo ThinkSystem 430-8e and 430-16e SAS/SATA 12Gb HBA are high performance host bus adapters for external storage connectivity in ThinkSystem servers. 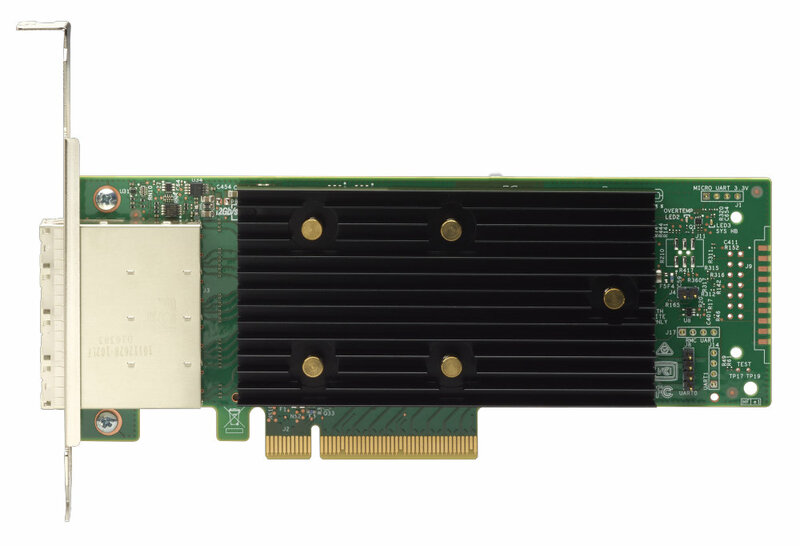 The 430-8e provides two x4 external mini-SAS HD connectors with eight lanes of 12 Gbps SAS. The 430-16e provides four x4 external mini-SAS HD connectors with 16 lanes of 12 Gbps SAS. The following figure shows the ThinkSystem 430-16e SAS/SATA 12Gb HBA. The 430-8e and 430-16e external HBAs offer improved performance over the previous generation N2225 and N2226 HBAs for System x servers, with a faster processor and more memory. Rigorous testing of the ThinkSystem HBAs by Lenovo through the ServerProven program ensures a high degree of confidence in storage subsystem compatibility and reliability. Providing an additional peace of mind, the controller is covered under Lenovo warranty. The following table lists the part numbers and feature codes for the adapters. The following figure shows the ThinkSystem 430-8e SAS/SATA 12Gb HBA. The specifications of the adapters are listed in the following table. * SED support is by using software on the server (SED commands are passed through the HBA to the drives). The 430-8e and 430-16e SAS/SATA 12Gb HBAs support connectivity to external tape drives and autoloaders. The adapters carry a 1-year limited warranty. When installed in a supported ThinkSystem server, the adapters assume the server’s base warranty and any warranty service upgrade.